Hot air ballooning in Cape Town is seasonal. The Cape Town pilot flies in summer only; from October until the end of March (before he heads off to fly in Augrabies in the winter), because of rain & mud spoiling play in Cape Town in winter. Launch sites vary to suit the wind direction on the day, one of the sites is Joostenberg Bistro and garden center on the N1 towards Paarl and and one is on the N7 towards Malmesbury. Hot air ballooning takes place all year round, but all flights depend on the weather. You take off and drift with the wind for about an hour, reaching a height of some 2000' for the best view all around. Tea and coffee are served before each flight and a Proudly South African sparkling wine served after you land, where you will be presented with your Flight certificate. You will then be returned to the launch site by car. The whole experience lasts about 3-4 hours. 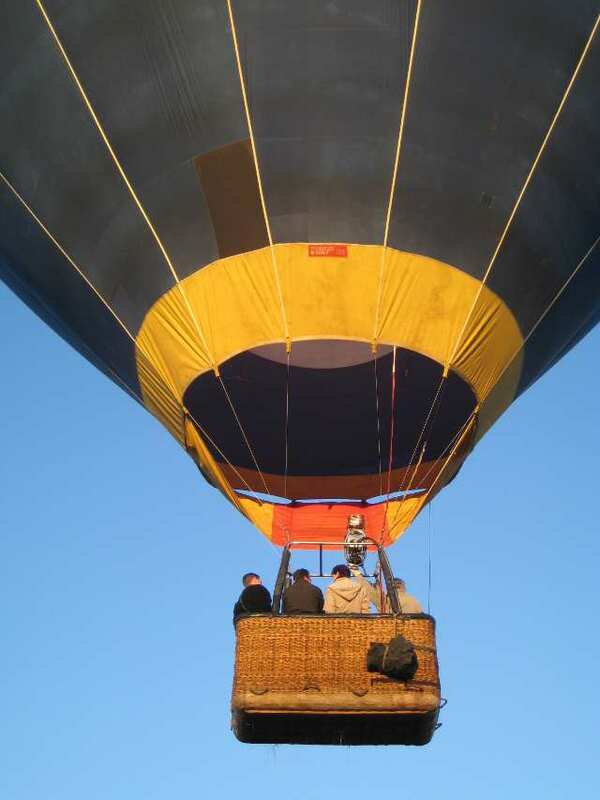 We are running a competition for a R500 hot air balloon voucher (Hartbeespoort Dam only).